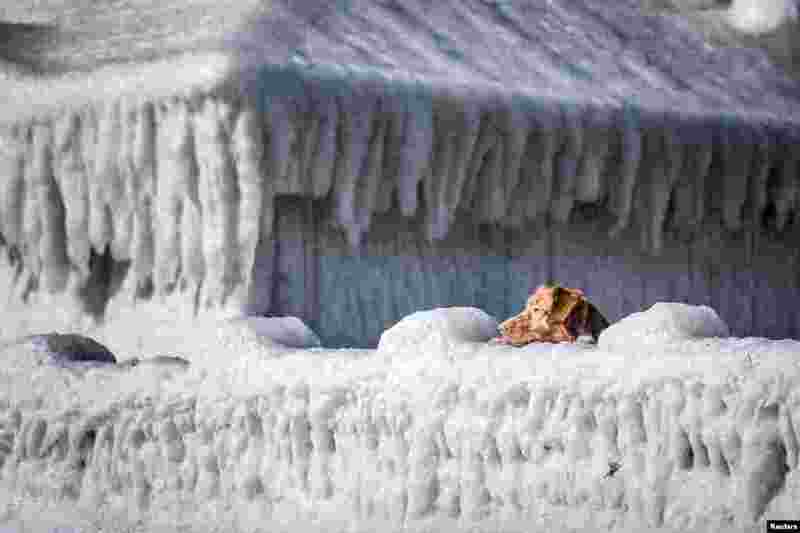 ١ A dog looks over a house covered in ice by the coast at Faxe Bay, south of Copenhagen, Denmark. 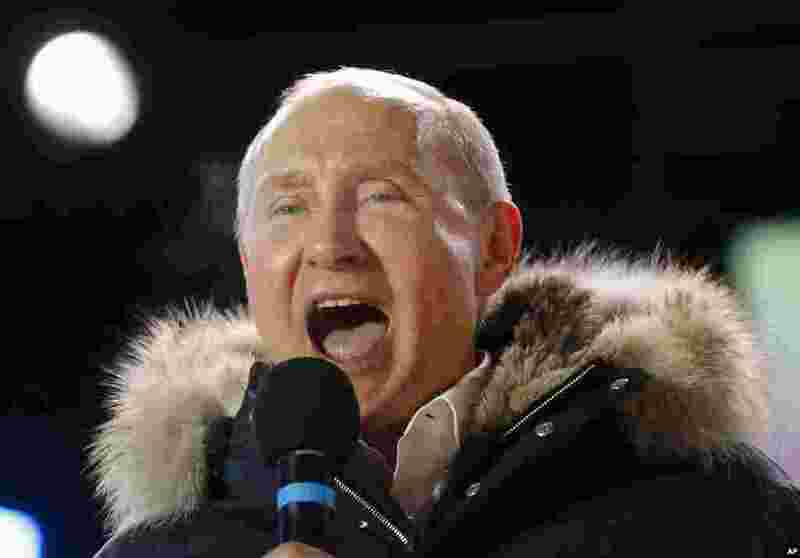 ٢ Russian President Vladimir Putin speaks to supporters during a rally near the Kremlin in Moscow, March 18, 2018. Putin won a fourth term as Russia's president, adding six more years in the Kremlin for the man who has led the world's largest country for all of the 21st century. 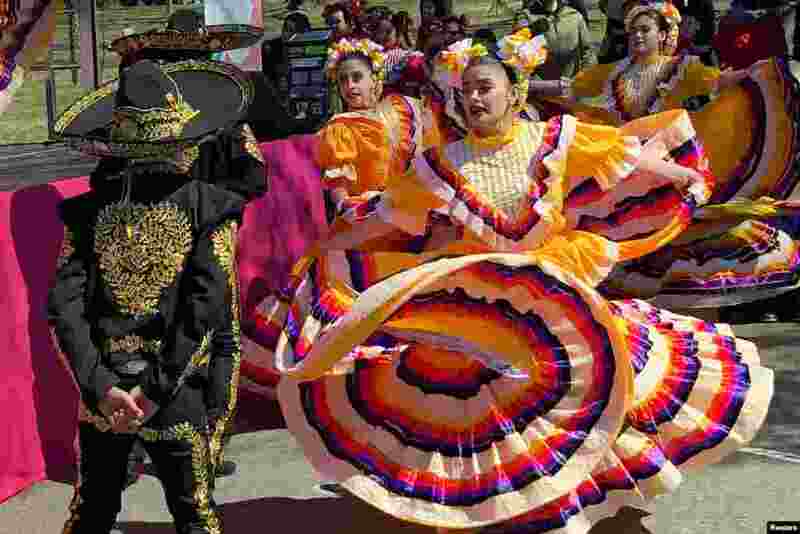 ٣ A dance troupe performs traditional Mexican dances at the 2018 National Cherry Blossom Festival near the Tidal Basin in Washington, D.C., March 18, 2018. 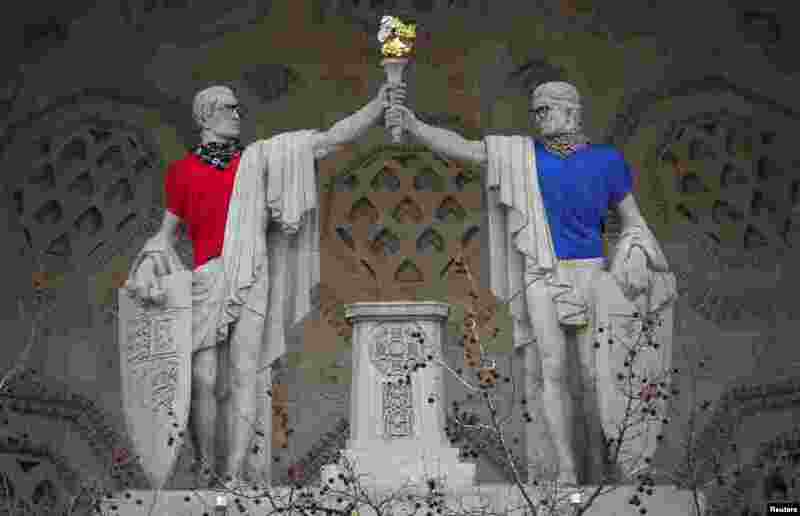 ٤ The statues on Bush House, the former headquarters of the BBC, are seen dressed in glasses, scarves and T-shirts by artist Leo Caillard as part of his The Classical Now show at Bush House and Sommerset House, in London.